A car grille isn’t just for keeping the engine cool – grilles add style and definition to your vehicle. 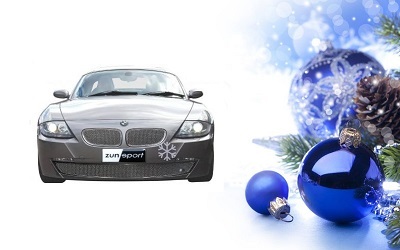 Available in stainless steel or black nylon, Zunsport car grilles are easy to install! Positioned at the front and back of your car, normal plastic grilles are always vulnerable to suffering damage, either from major impacts or simple everyday chips and cracks from roadside debris. Any breaks will need swift attention and repair, but often complete replacement is necessary to stop rocks and dirt getting into the engine or other valuable parts of the car. Luckily, installing car grilles is quite a simple and fast job. Choose your grille: do you want a grille that simply does its job of circulating air throughout the engine? Or do you want a grille that gives your car a fresh, cleaner “look”? Depending on what you’re looking for, you may want a black nylon grille to simply blend in, or an electropolished silver grille to really stand out. Secure your new grille in place and replace the screws, being careful not to over-tighten them. You can check for loose screws by taking your newly-refitted car out for a test-drive. Any banging or rattling noises may indicate that the grill is not securely attached or properly positioned. If so, a simple inspection should reveal a loose bolt or incorrect grill placement. Zunsport grilles have a narrower mesh than most grilles on the market, which makes for better protection against road debris like twigs and leaves. Our grilles are also made from higher quality stainless steel or nylon mesh, creating a product that will stand up to wear-and-tear and last much longer than any other grille out there. Once your grille is installed, cleaning the grille inserts will help to dislodge loose contaminants like mud, dirt and dust from their exterior, as well as giving your car the tell-tale gleam of a well-maintained vehicle. A simple wipe with soap and water will keep your new grilles in top condition and can be done as part of your usual overall car wash.